The begonia genus (Begonia spp.) consists of a variety of subtropical and tropical flowering plants that are commonly grown outdoors as annuals and indoors as houseplants. Begonias generally prefer a well draining, moist soil that is enhanced with organic matter. Organic matter helps the soil to retain water, keeping the plant cool. Keep the soil moist, but not wet or waterlogged. Wax begonias (Begonia x semperflorens-cultorum) prefer bright, sunny locations while begonia hybrids such as Escargot prefer partial to full shade locations. Wax begonias can tolerate some shade, especially in warmer climates. 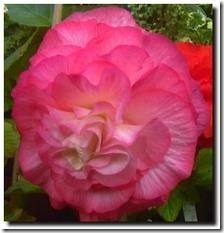 Begonias are tropical and subtropical plants that thrive in warm climates. 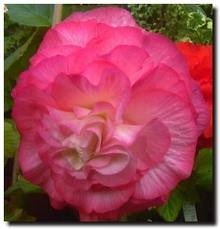 Gardeners outside of USDA zones 9 to 11 generally must grow wax begonias as annuals or houseplants. Begonia hybrids are even more frost-sensitive, growing only in zones 10 and 11.